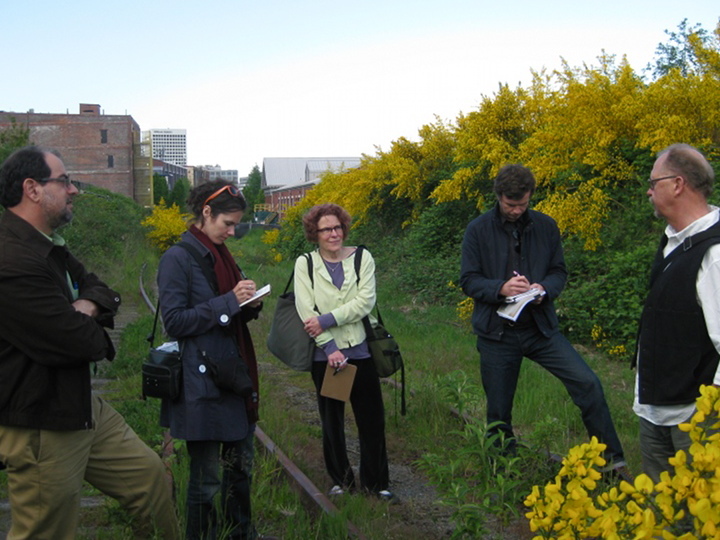 Walk on the wild side (l to r): Todd Bressi, Lucy Begg, artist Elizabeth Conner and Robert Gay get the back story on Tacoma rail from historian Michael Sullivan. Urban planner Todd Bressi and the design team of Lucy Begg and Robert Gay (Thoughtbarn) held a lively series of speaking engagements in Tacoma last week on the public art plan for the much-vaunted Prairie Line Trail (PLT). The trio met with staff from the City, University of Washington-Tacoma and Tacoma Art Museum; historic preservationists, downtown stakeholders, artists, cycling advocates and interested citizens about the trail’s potential to become a showcase for art and art experiences, as well as a magnet for civic activity. 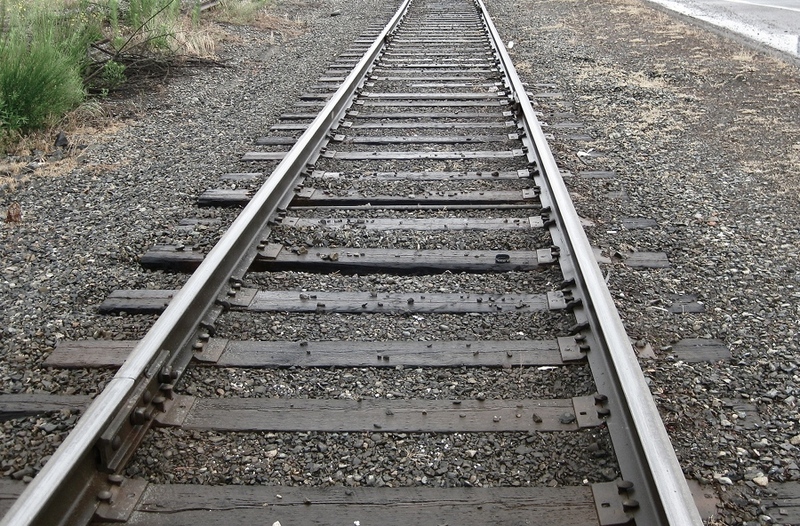 The design team was awarded a $30,000 commission, supported by a National Endowment for the Arts (NEA) planning grant, to develop an art proposal for the legacy trail which will link downtown Tacoma’s most significant cultural and historical sectors.